As you cross the state line from California into Oregon you get a sense that you’re travelling into somewhere different. There’s the odd glimpse of snow-capped mountains in the distance, the redwoods give way to thicker pine forests, the clouds seem a little lower and heavier. Oh, and get this – it’s illegal to ‘pump your own gas’ (NB, this is an American term; the closest translation I can find would be something like “to fill your car with petrol”). That’s right, in Oregon you can get fined up to $1000 if you don’t let the attendant pull his own trigger. Anyway, we followed the Oregon coast, passing through cute fishing and whale-watching towns on our way north. 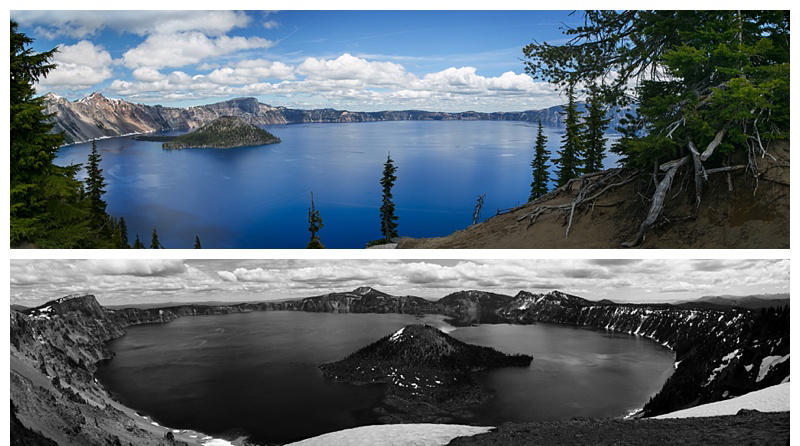 We cut inland to take a peek at an astounding natural feature called Crater Lake. Around 6-8000 years ago, a volcano called Mt Mazama blew itself apart. When the dust settled, an almost perfectly circular crater was left over. Snowmelt and rain filled the crater, and today the pure clear water is the most beautifully vivid blue. All set off by the towering rocky walls and the snow, which lasts on the slopes right through into late summer. Inside the lake are the remains of another volcanic episode, this time leaving a small conical peak, now called Wizard Island. The whole ensemble was quite the most stunning sight. 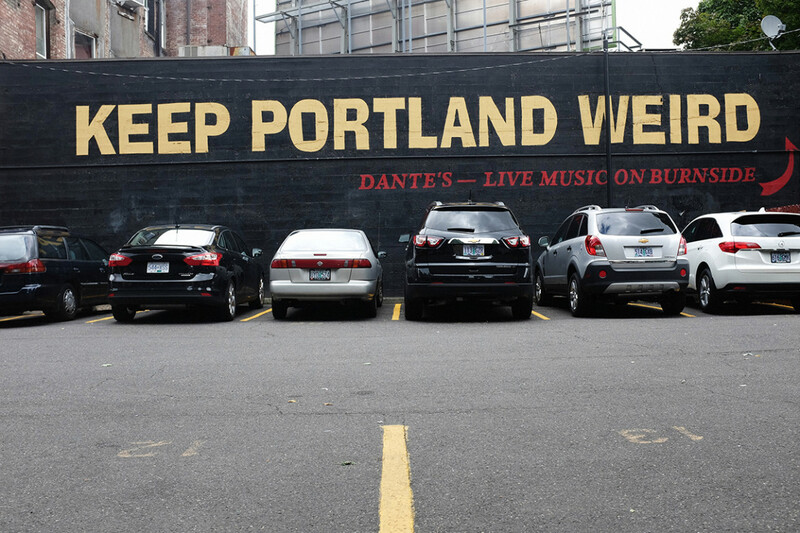 A couple of days later and we were in Portland, hipster capital of the US. 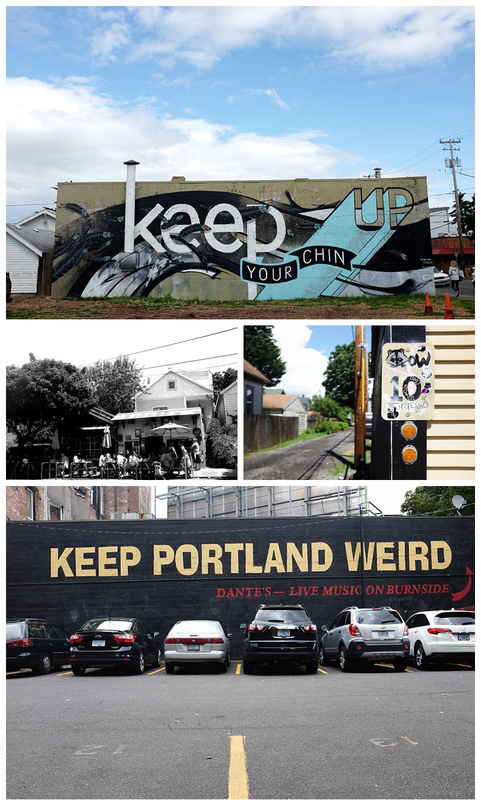 A city very much at ease with itself, Portland is an unselfconsciously cool place. It is full of good coffee, funky boutiques, and interesting neighbourhoods, and the music scene is probably most vibrant in the country. It is a very forward thinking place, ahead of the curve on farmers markets, recycling, bicycle share schemes and organic food. It also boasts the largest new and second-hand bookstore you can possibly imagine – it covers a city block and goes up three levels – which I think sums the place up pretty well. One night we chanced upon a wonderful street festival in the neighbourhood where we stayed, full of stalls, performers and street food. It’s a monthly event where they just block the street and everyone comes out to have fun, without a hint of attitude or trouble. The next night we had a cultural experience of a different type – we went to the local theatre to see a hilarious performance of ‘Jaws: The Musical in 3D’, a brilliant, wacky take on the infamous movie, done by a troupe of Portland comic actors. We had been tipped off by our lovely airbnb hosts, and the evening didn’t disappoint. We still give each other giggles by singing “Shark Attack! Shark Attack! It’s time for a m%therf*#!king Shark Attack!” and other memorable songs! Just north and a day trip out of Portland lies Mt St Helens, one of a group of dormant volcanoes that cover the north-west. Except that Mt St Helens was not dormant in 1980, when the side of the mountain literally exploded. The two excellent visitors centres tell the moving story of the build-up and aftermath of the fateful day. Even today, some 34 years later, it is still obvious in the landscape where the river was buried or changed course, where a new lake was created, and the distinct line between where the trees were felled and where they survived. It was an erie yet spectacular place to visit. We left Portland and followed the Columbia River eastwards. The Columbia is one of America’s grand rivers, and was the final leg of the journey of discovery made by Lewis and Clarke, the first great cross-continental American explorers. We looped back to another sleeping volcano, the majestic Mt Rainier, which dominates the horizon from many miles away. 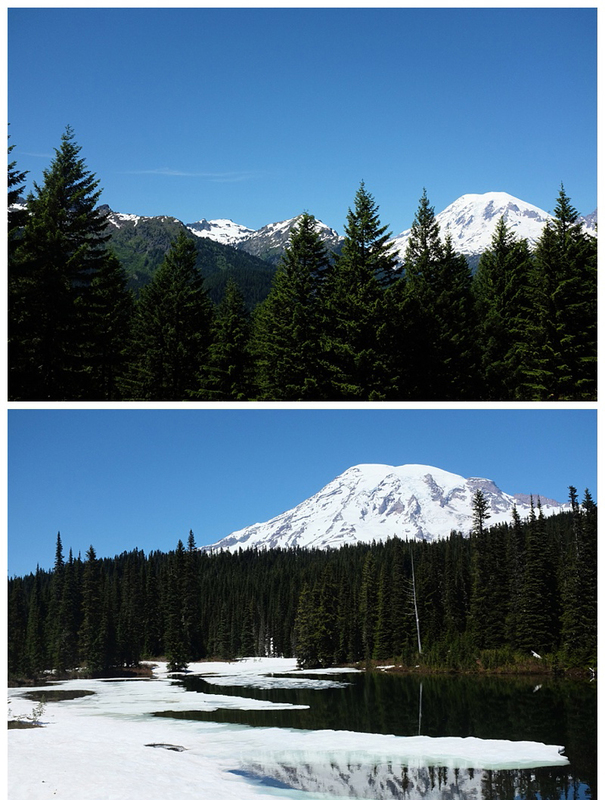 Mt Rainer is the full alpine experience – permanent snow and glaciers at the top, a wooden chalet lodge, glorious sweeping views on the twisting road up and down the mountain, snowmelt waterfalls and lakes like glass. 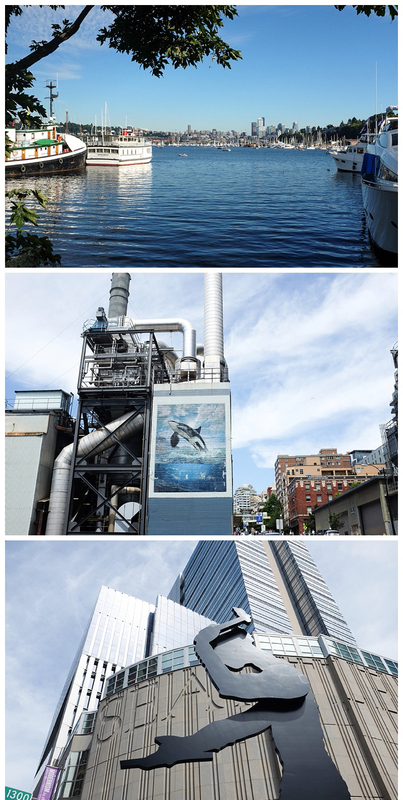 It is a reminder of the power of natural forces, the more so because it sits within easy reach of Seattle, the largest city in the north-west. 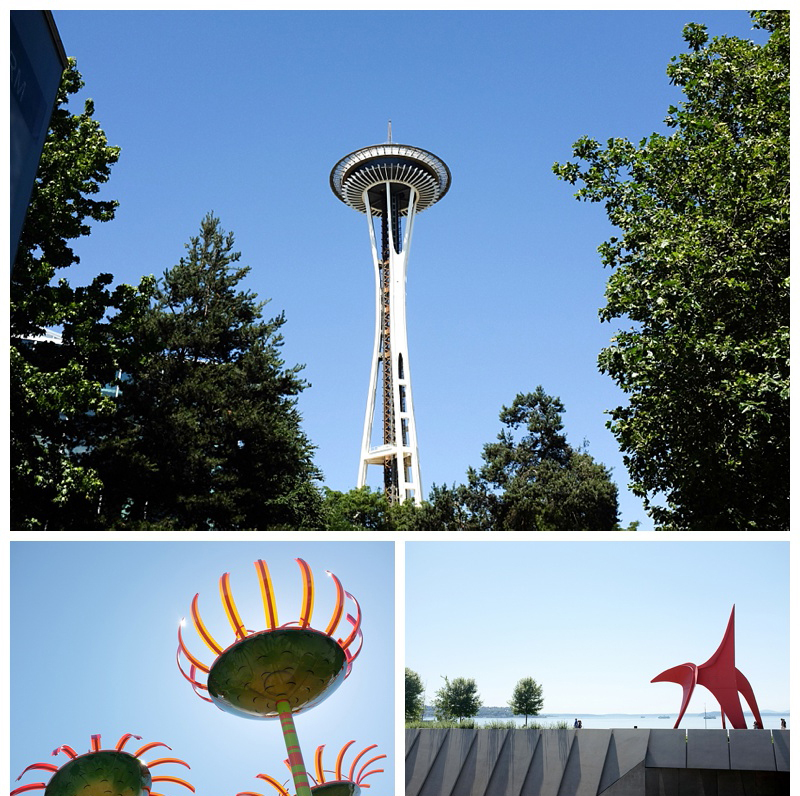 Seattle is a lovely city surrounded by water, sitting on sheltered Puget Sound with its back to Lake Washington. 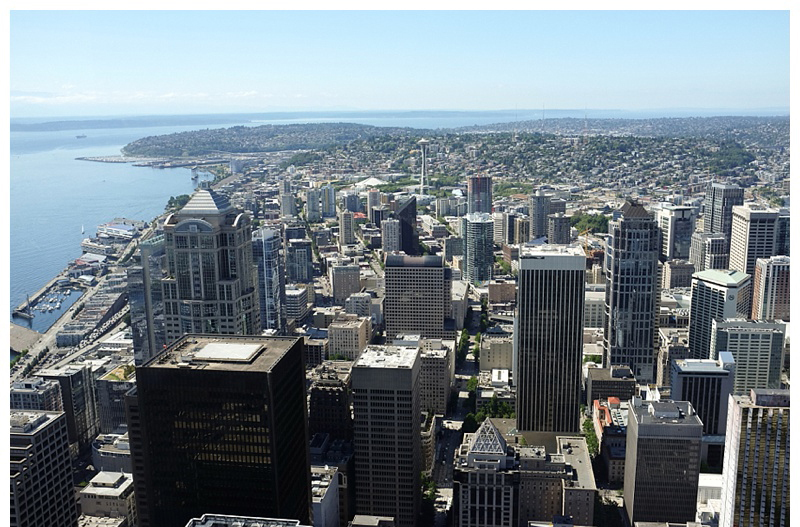 Home of Starbucks, Boeing, grunge music, Microsoft, and the reigning Superbowl champions, Seattle more than holds its own in the pantheon of American cities, despite its more isolated north-west coast location. 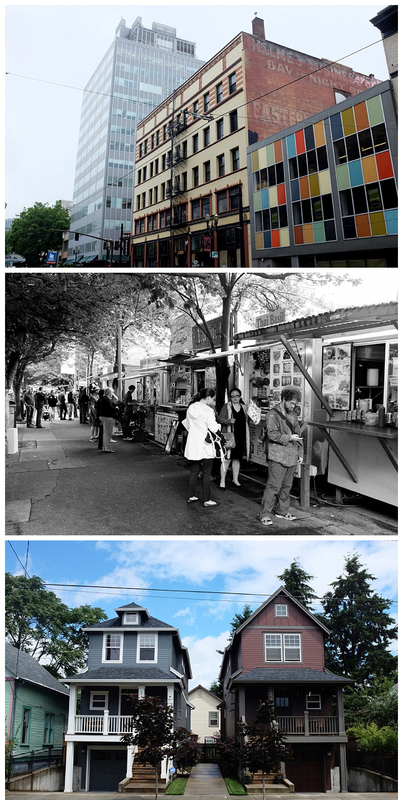 The downtown is vibrant, with the famous Pike Place market as the centrepiece. 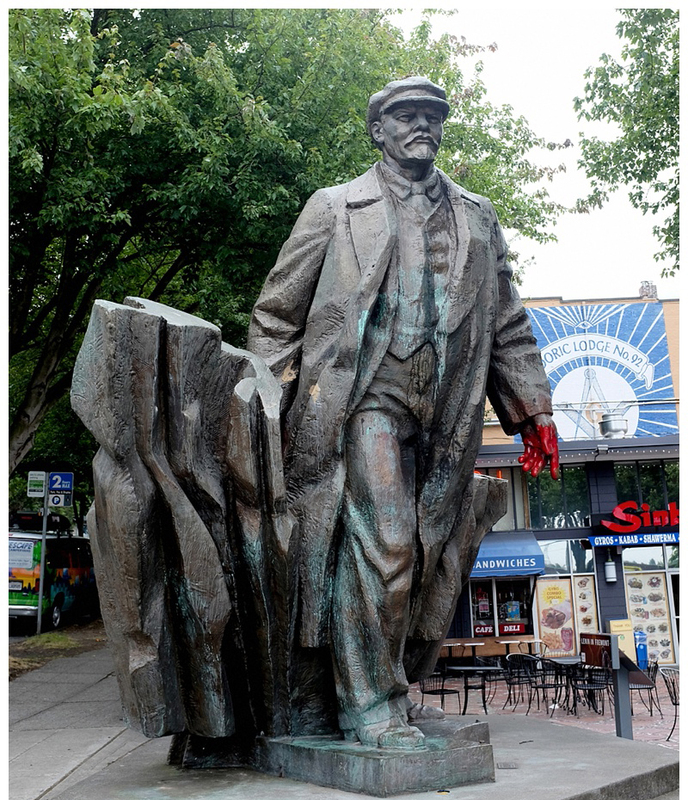 There is some great public art on show, whether at the Olympic Sculpture Park or in local neighbourhoods, including a statue of Lenin brought over from Slovakia at the fall of communism. 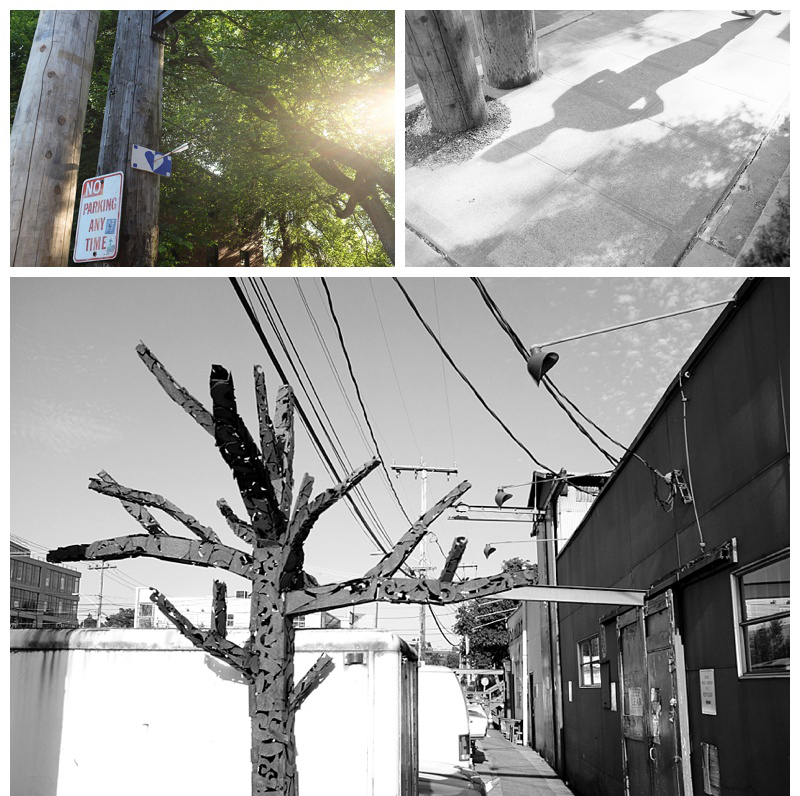 We stayed in a beautiful area just north of the city, in an older house full of character that is now the workshop of a local artist. From Seattle we headed towards Vancouver. On the way up we spent a day exploring the San Juan Islands, an archipelago of pine-covered islands huddled just off the coast. 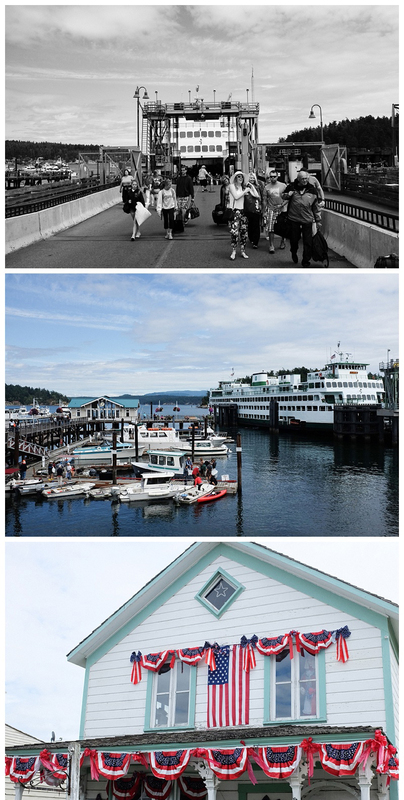 We boarded a ferry that gently picked its way through to Friday Harbor, a sweet little town on the main island. It was touristy, but very relaxing, and prepared us for the drive to Canada. I have only been home for a few days, yet as I am reading your posts and viewing your photos, I am missing the very familiar places that you have visited as well.